Borrowing again from Katie Wood Ray‘s book, What We Know by Heart, which explores how we can develop curriculum from our own experiences as writers, I want to share some of the amazingly thoughtful comments readers left in response to Allen Woodman’s short short story “Wallet” in the other week’s post. In particular, I want to try to notice and name the moves those readers made and the instructional implications of those moves for classrooms. To begin with, every single reader who responded was deeply engaged in thinking about what particular details might mean, both individually and in relationship to the whole. They considered the significance of the fortune cookie, the father’s comment about “all oyster and no pearl,” the billfold rising up “like a dark fish,” and the puzzling line that several mentioned, “There will be time enough for silence and rest.” Sometimes they had specific ideas about what those details might be revealing about character or even theme, and sometimes they weren’t sure what to do with them. But they all entered the text assuming that the details they encountered weren’t random but had been deliberately chosen by the author to convey something more than, say, the literal contents of a wallet. And as readers, their job was to attend to those details and to question and consider their meaning, which they did by wondering and brainstorming possibilities in a way that seemed less firm or emphatic than an inference or a prediction. Readers know that writers choose details deliberately to reveal both characters and the ideas or themes they’re exploring through the story. They attend to the details they notice, asking themselves and wondering: Why is the author telling me this? What could this possibly mean? They hold onto those wonderings as they keep reading, expecting to gain more clarity as they read. The readers of “Wallet” also brought their knowledge of how stories work to anticipate what some called a “twist”. But interestingly enough, not a single one predicted. Instead they all tried to remain open to whatever twists and turns the writer took, letting the story unfold on its own terms, while keeping their thinking tentative and flexible, knowing that endings are often unpredictable—and are frequently better for that. There were also none of the literal text-to-self connections we frequently hear in classrooms—that is, no stories about pick-pocketed wallets or aging fathers in Florida. Mostly readers connected with their previous experiences as readers. And the one reader who explicitly made a connection to his grandfather pushed and prodded and probed that connection, connecting it to other details and memories until it yielded an insight about the text. Readers know that stories unfold over time in ways that aren’t always predictable, and so they try to keep their minds open and receptive, drafting and revising their understandings as they go, without clamping down on any one idea too early. Readers know that it’s not enough to make a connection with a text. They explore and question their connections, using them as tools to dig deeper. Readers visualize to both monitor and fix breakdowns in their comprehension and to infer events that weren’t made explicit in the text. Readers also visualize to think about the imagery and engage emotionally with the text. And they use their emotional responses and ideas about the imagery to consider what the author might be trying to show them or explore through the vehicle of the story. It’s also worth noting that no reader made a definitive claim about ‘the theme’ of the story. Perhaps they would have if I’d asked them to; but at the risk of speaking for them, I think that, as readers, they didn’t feel a need to sum up and fit all they were thinking into a single statement—yet. They were, however, all circling ideas that we could call understandings or themes. One, for instance, was trying to “reconcile the complex notion that the father might be embarrassed but also delighted at the same time,” while others kept thinking about that fortune cookie, aware that the events of the story refuted its life-is-always-the-same-old-story message. One thought the story was “at least partly about” our society’s view of the elderly, while others considered what it might be saying about father and son relationships. And having that line about silence and rest brought to my attention by a few readers, I found myself thinking about mortality and death, which seems to hover over the story as yet another layer and lens for thinking about its ideas. Readers know that even short texts can’t always be boiled down to a single idea, and that there are many ways of accessing and constructing understandings based on which details the reader notices and what they bring to the text. Readers don’t read to identify a theme. Rather their understanding of theme emerges from their engagement and thinking about the details of the text. Readers’ understanding of a text can be enriched and developed by hearing what other readers notice and think. Readers need to live and linger with multiple possibilities before committing themselves to one idea for the purpose of writing a paper. All of these points are based on these readers’ understanding of how narratives are built. And all set strategies within the context and purpose of searching for meaning. That’s what was in these readers’ hearts. And that’s what I think should be in our teachers’ hearts as we talk to students about reading. With many thanks to author Allen Woodman and all the readers who shared their thoughts on his story “Wallet.” Their comments can be found by clicking this link and scrolling down to the end of the post. What Messages Are We Sending Our Students About Reading? We all know how important it is to reflect and set goals for ourselves and our students, and to help students develop those same metacognitive capacities, I’m increasingly seeing student-written goals displayed in classrooms. “I need to infer more,” I spotted on an index card taped to a child’s desk. “My goal is to read Level Z books,” I spied on a bulletin board. One the one hand, these student-generated goals speak to a student’s academic aspirations, which is certainly a good thing. But as a reader, I have to pause and wonder. Is that what constitutes success as a reader? To master the skill of inferring? To read a Level Z book? Are we somehow conveying, intentionally or not, that we read in order to climb the level ladder or infer a character trait, to fill out a worksheet on the main idea or make text-to-self connections? For better or worse, levels, strategies and skills are frequently what’s most visible in our classrooms. Libraries are filled with bins of leveled books. Worksheets abound on identifying traits, the main idea and story mountain steps. Strategy charts hang on our walls and from clothes lines that stretch across our rooms. What tends to be far less visible, though, is why we really do all those things: why we take such pains to find a just right book, consider what kind of person a character is, make inferences and predictions. And in that vacuum, it’s perhaps no wonder that children come away thinking that what we value are the things they do see, which I think are actually the means to the end, not the end itself. what I am . . . .
Of course we need to do more than hang these quotes on our classroom walls. We need to show children how a reader engages with a book in a way that allows them to come away with not just an understanding of a character but who they are themselves. We need to let them see how books can inform lives, giving us a wider, expanded vision of who we are, who we might become and how we might engage with the world. 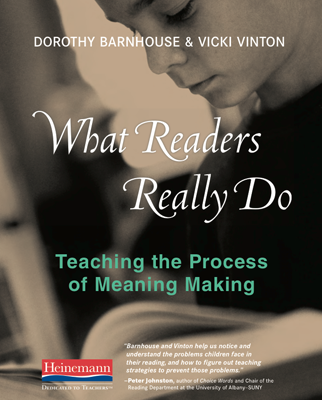 In What Readers Really Do, Dorothy Barnhouse and I share ways of reframing reading workshop around these deeper purposes, with skills and strategies all firmly tied to more meaningful ends and time carved out to consider what a book might have to say to a student before they return it back to its bin and take another one out. But there’s a simple step we all can take to make sure our students don’t think that all we value is their level or our worksheets: We can ask them if they love what they’re reading. We can ask if they’ve ever found a character who’s just like a best friend, if they’ve ever heard an echo of their own thoughts and feelings in the pages of a book, if they’ve ever come away understanding someone better than they had before. And we can share what we’ve gotten from books that’s allowed us to go forth into the world with more understanding and awareness of both ourselves and others. Here in New York City, we’ve been thinking a lot about text complexity, especially about what makes a text complex. School networks have traded professional articles. Consultants have helped teachers create rubrics to assess the degree of complexity in a text. Yet oddly enough there’s been far less discussion about how we can instructionally support students to meet the demands of those texts. My own sense is that, beyond denser print and more complicated syntax, text complexity is directly linked to how a writer conveys information, with complex texts revealing more information—about everything from the characters and themes to shifts in time and setting—indirectly. And this means that in order to access that information readers need to infer. Given how critical inferring is, you’d think we’d have a boatload of strategies up our sleeves to help students do it. But all too often we rely on a variation of “It Says, I Know, and So,” which asks students to connect something in the text to their own experience or prior knowledge in order to infer what the writer might be saying indirectly. This will, indeed, work some of the time. But it doesn’t always work because inferences aren’t actually all made the same way and no single strategy will do. The passage requires an enormous amount of inferring to simply figure out what’s happened, let alone to start thinking about why. When the students first read it, they were able to infer that Miss Pringle was the teacher by connecting what it said in the text to what they knew from their own lives—i.e., that teachers usually have titles like Miss and often address students as ‘Class’. But the same “It Says, I Know, and So” kind of thinking also led them to infer that Arthur Rodriquez was another boy in the class, not the narrator. And visualizing, which we often teach as another strategy for inferring, wouldn’t have made things better. Experienced readers, however, make sense of the passage by doing something else: They make connections within the text, not outside of it, connecting one detail to another like the dots in those old Connect the Dots games. Some readers, for instance, might work backwards to connect Miss Pringle’s line to the chapter title, the dedication and the first page, which focuses on the legacy of Arturo’s name. Others might work forward, through the rest of the paragraph, inferring what was done by whom to make things easier, who wasn’t asked about what, and how a person could be erased like a ‘used-up word on a chalkboard,’ in order to figure out what happened. These inferences would require readers to connect those lines to their prior knowledge of a highly specific sort. They’d need to draw on their understanding of how pronouns, sentence fragments and similes work to infer what each line meant. And then they have to connect each of the fragments to Miss Pringle’s statement to arrive at an understanding of what, exactly but indirectly, Miss Pringle did. The students actually used the former process when, after realizing that Arthur was Arturo by making an intra-text connection, they inferred that Miss Pringle had changed many students’ names and that Alicia wasn’t happy about it. Had they used the latter process instead and connected those dark bruises to their prior knowledge, the chances are good that they would have inferred that Alicia had two black eyes. And had they not been connecting the detail dots to draft and revise their understanding as they read, they might also have been mystified by the exchange between Arturo and Alicia, not only not getting who was talking to whom but why Alice would say Alicia’s gone. 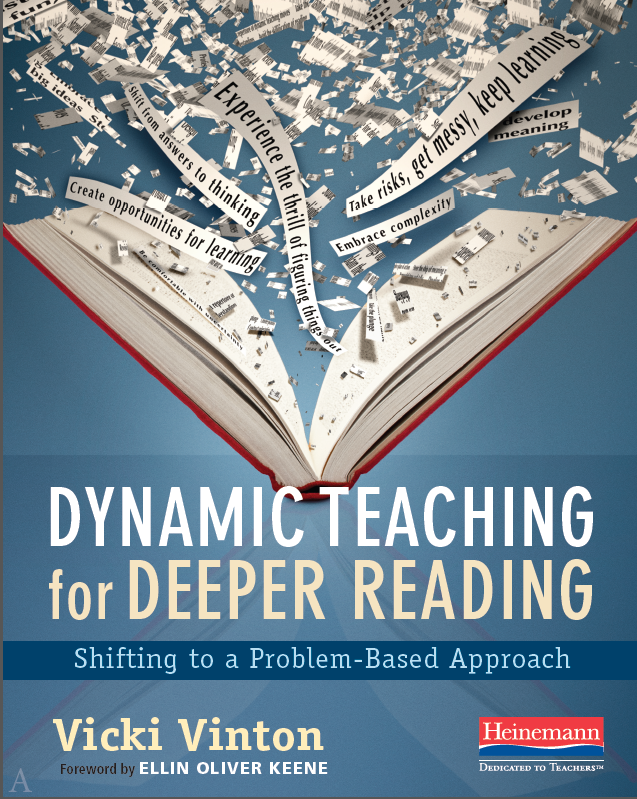 So if we want students to read complex texts—not just for the sake of doing so, but to fully engage in rich reading experiences that can inform and enhance their lives—we need to deepen the way we teach inferring and offer more precise strategies. We need to teach them how readers use their knowledge of pronouns and dialogue to steer through dramatized scenes, how they figure out what figurative language suggests, how they make sense of sentence fragments, and how they might use a title as a lens to interpret some of what follows. 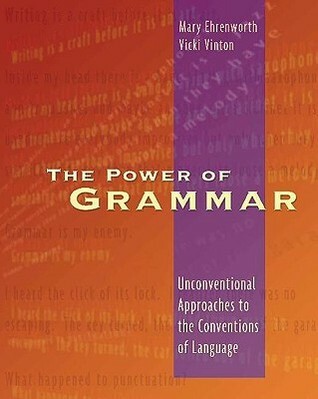 Most importantly, though, we need to teach our students this: While they sometimes can figure out what a writer might be saying indirectly by connecting a detail to their own experience, that strategy alone might not help them know what that detail means in the context of the text. The only way to figure that out is to teach them to connect one detail to another, dot by dot by dot, until they see something they couldn’t see before—and they let out the ‘Oh’ sound of insight.